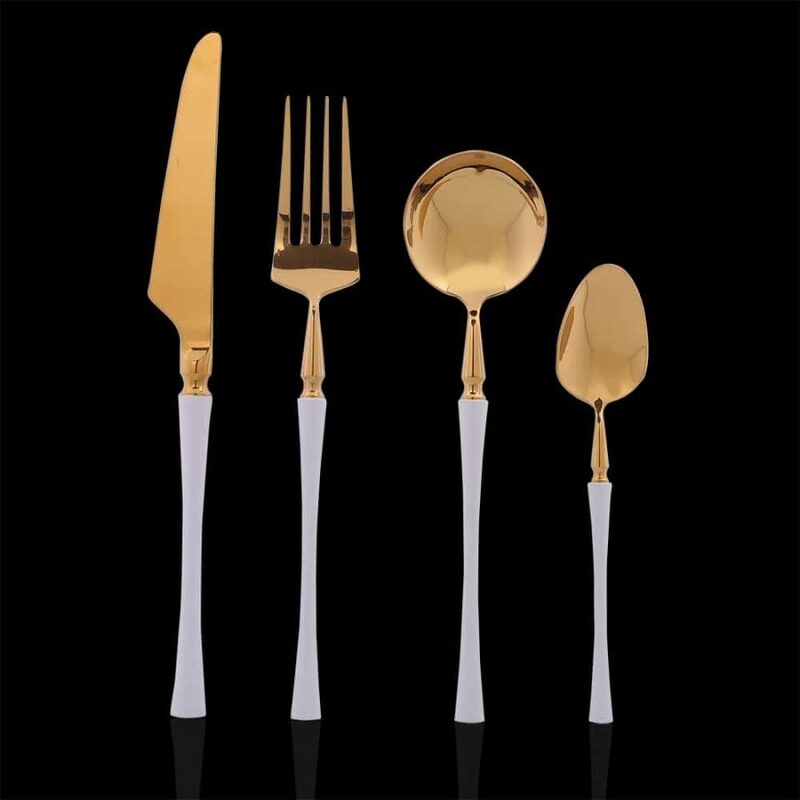 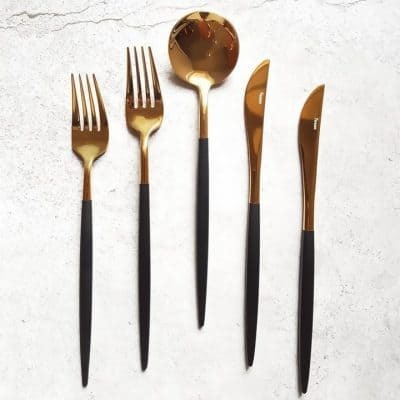 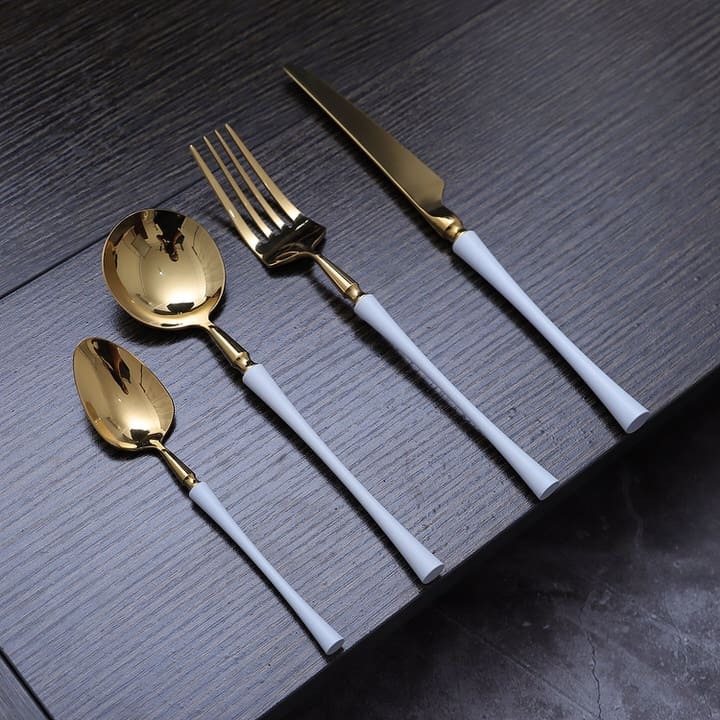 With its contemporary design and timeless elegance, this 16-piece Gold & White cutlery set complements most dining room décor arrangements. 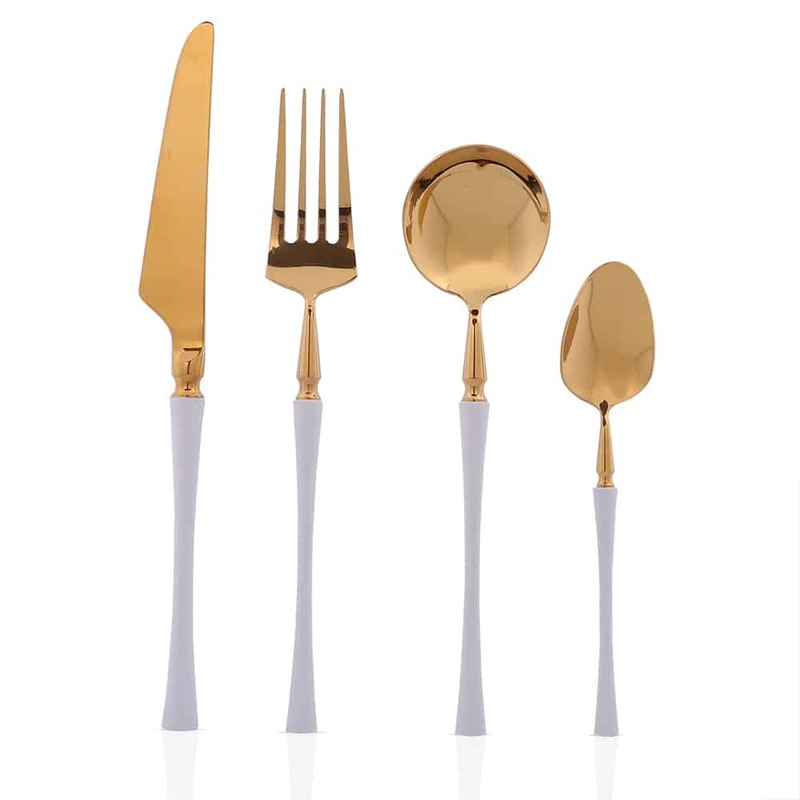 Boost your appetite with these eye-catching dining assistants. 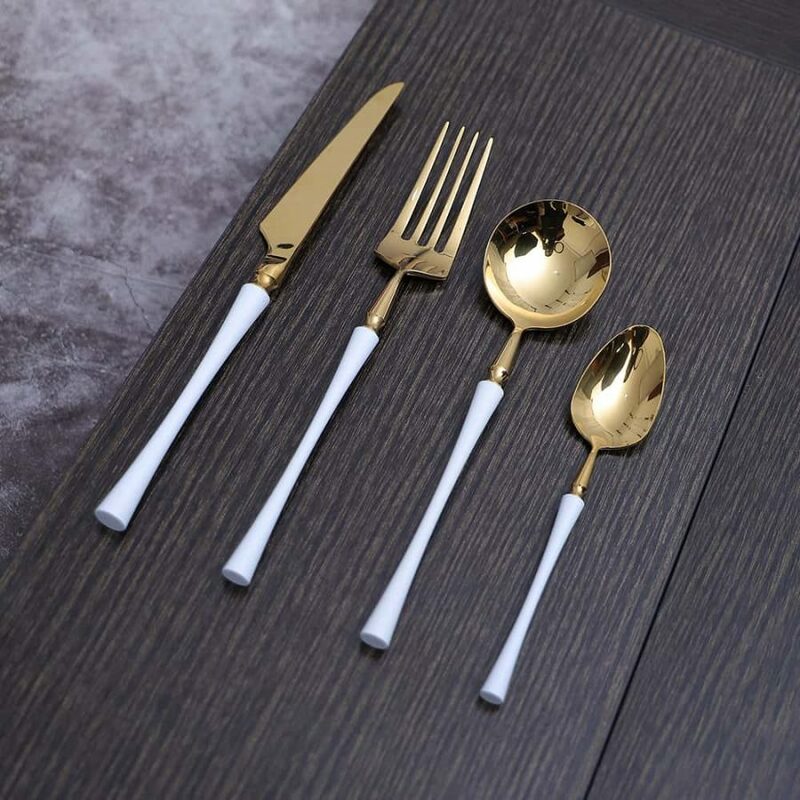 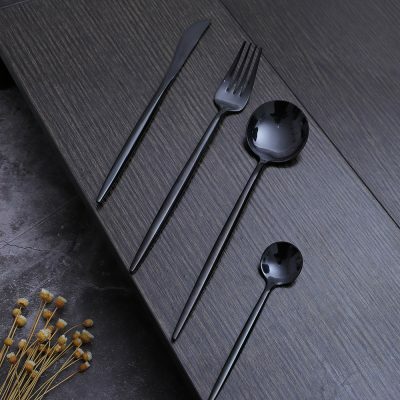 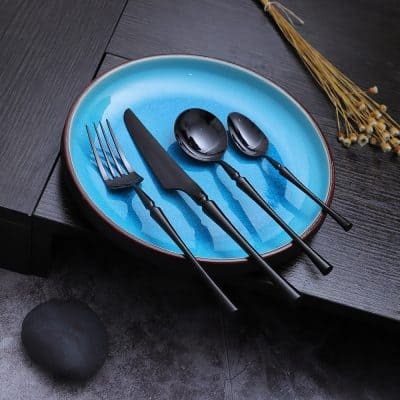 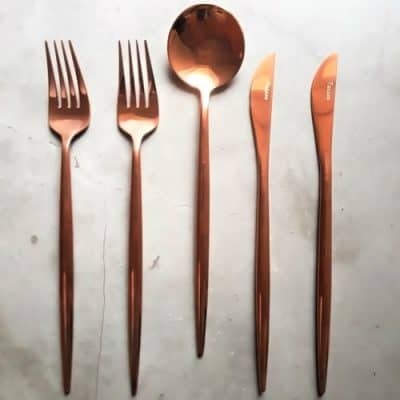 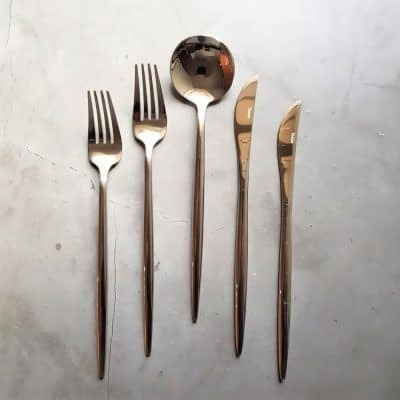 With a hand-polished mirror finish, the set has a reflective surface with brilliant shine and great corrosion resistance.